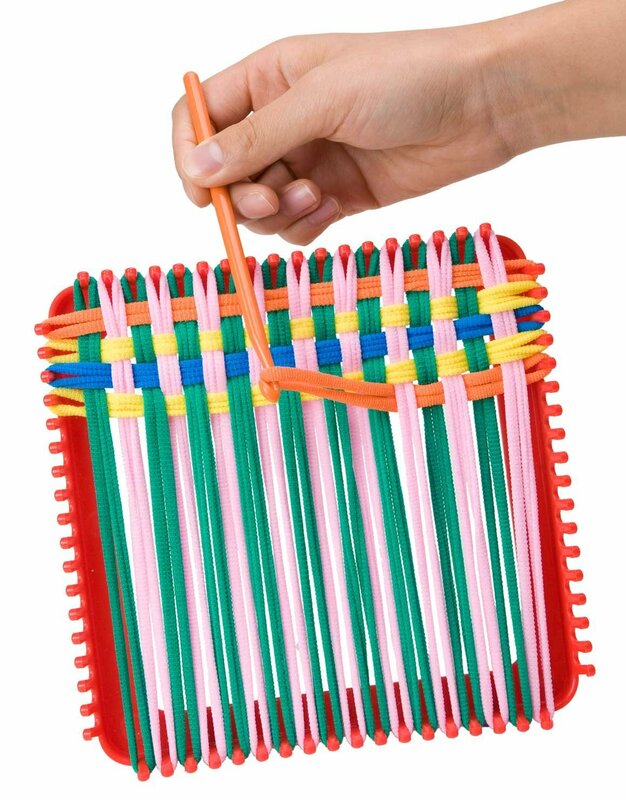 Did you have one of these as a kid?! I did and I absolutely loved it! I introduced it to my preschoolers a while back and they were surprisingly good at weaving the loops back and forth. 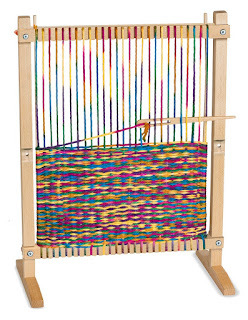 We've done weaving before, in fact for a while we had a large loom like this one from Melissa and Doug. 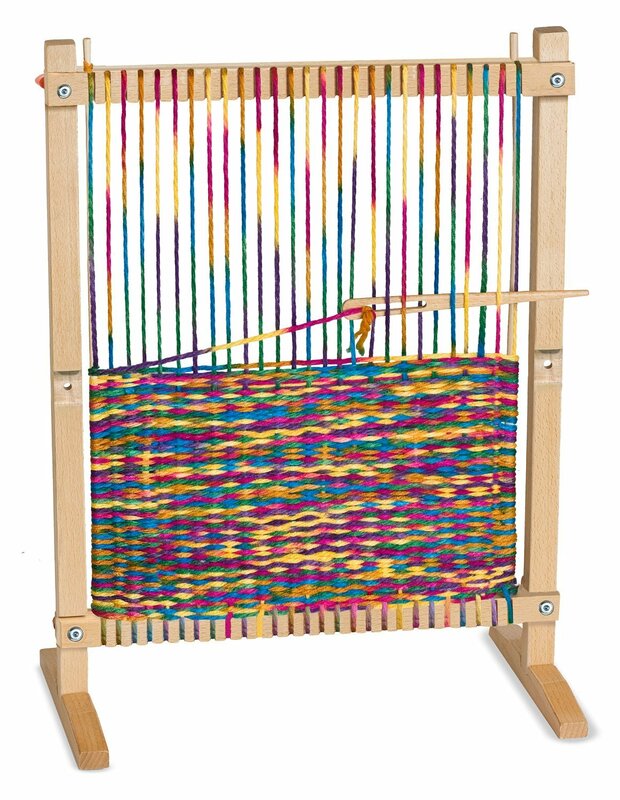 After a while, the big loom wasn't enough of a challenge any more. So when I spotted the smaller ones I thought I'd give it a shot. I honestly thought it would be a disaster, so I purposely picked a day when I didn't have very many students so that I would be able to help everyone. I showed them how to stretch the loops across from peg to peg. 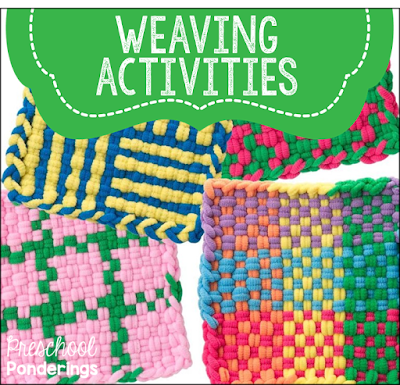 I think the fact that they were successful at this task gave them a little more confidence to try the actual weaving. The most difficult part was getting used to the loops, and understanding that in order go over one loop and under the other, you actually had to go over two sides of that loop and under two sides of the next loop. These little looms also encouraged their persistence - they really felt like they could finish the entire thing, because it was small. They really were able to do the weaving on their own, so I was able to observe. This was a perfect opportunity to see a wide variety of skills at work - not just fine motor skills and persistence, but also problem solving and self-regulation. 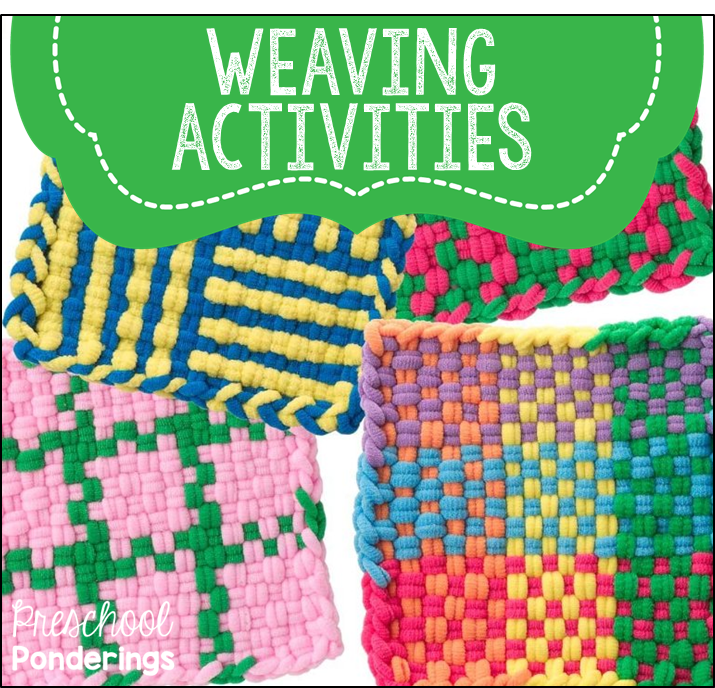 This is definitely not an activity that I would try with young three year olds, but it was a definite success with my almost kindergartners!